The School moved into the former Almonry chapel in the 1570s. Soon after the new School House was opened in 1864, the almonry building was demolished. 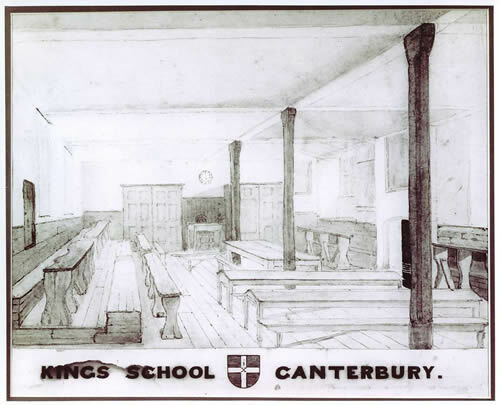 The illustration shows the interior of the building, as drawn by James Wallace, a King’s Scholar, in 1843. Mitchinson’s House was opened on the same site in 1981.